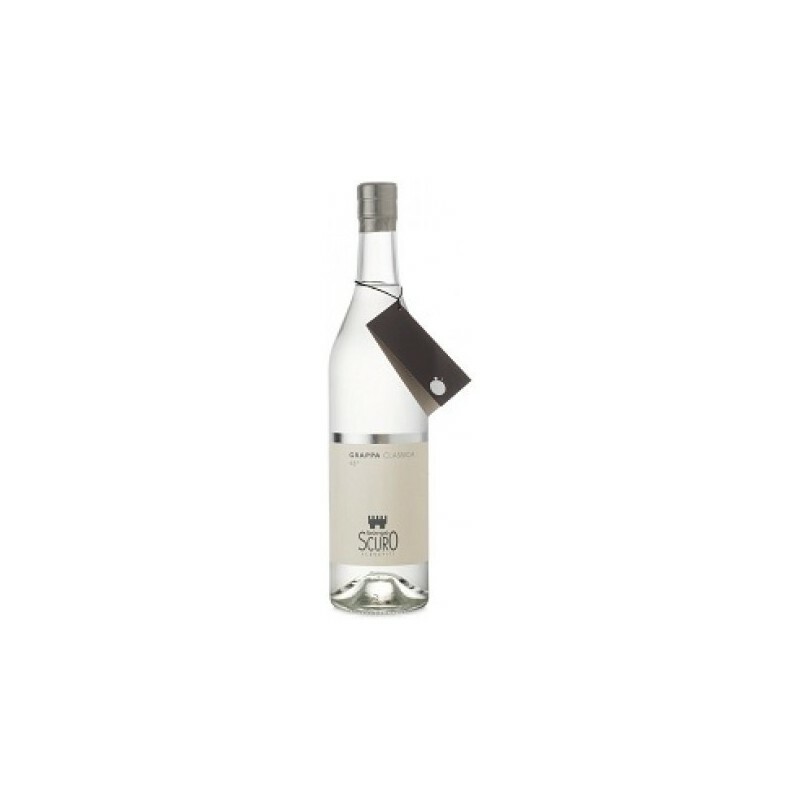 The unique physical system-a natural filtration to the cold created by Borgoscuro allows you to reach the maximum purity of the grappa, which results in extremely clean taste and digestibility, while keeping intact all the aromas. The base is made up of 70% white grapes, mainly Chardonnay and Prosecco, and 30% red wine marc, distilled separately in boilers with direct steam, and in the still in a water bath under vacuum,with a run of the system the custom on the different types of grape pomace.The cut of the matches, and then refined for 12 months in steel drums give Borgoscuro Grappa Classical stability and harmony in the original flavours of the grapes, by delivering to the taste and the quintessence of authentic Italian grappa. Absolutely colorless and very bright, giving to the nose aromas are elegant of small red berries,violet, field, lavender, and lilac. The alcoholic power and the conquest of the mouth without damaging it,leaving space to a wrap-around imprint of honey and pot-pourri which continues for whole minutes.